Go ahead, click it. You know you want to. And while you’re at it, be sure to bookmark our site. We are close to finalizing all the necessary paperwork and filings with the State of Tennessee. Once the State deems us a bonafide legal entity, we are free to start doing things in the park as opposed to just talking about doing things in the park. Stay tuned. 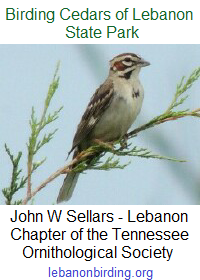 This entry was posted in Announcement and tagged Cedars of Lebanon State Park, FoCoLSP, friends of cedars of lebanon, Lebanon TN, Tennessee State Parks, wilson county. Bookmark the permalink.